Whole Foods is also working with Regency Centers Corp., one of its largest landlords, on a project to convert parking areas at existing stores into stalls for Amazon delivery contractors to load up their orders, said the person, who asked not to be identified because the initiative is private. 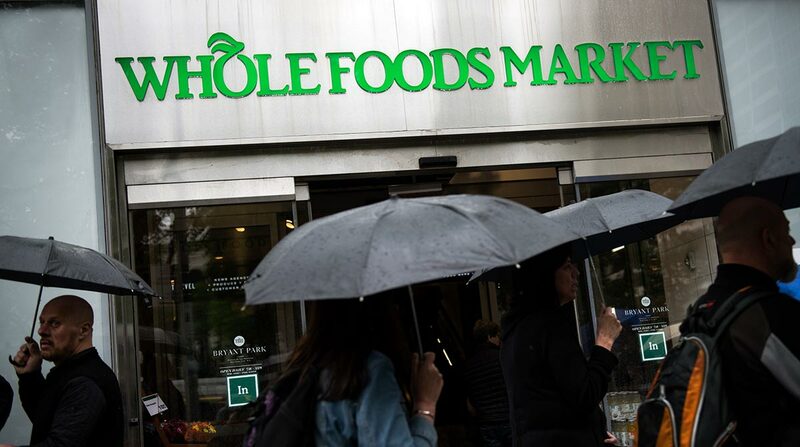 A spokeswoman for Whole Foods declined to comment, and Amazon didn’t respond to requests for comment. Walmart Inc. has been experimenting with new ways to use its vast store presence to give shoppers quick access to online orders. Amazon wants more spaces to store goods close to customers to complement its huge warehouses on the outskirts of big cities. The urban spaces are needed to expand the selection offered through the two-hour Prime Now delivery service, which currently carries a limited inventory comparable with what’s found in convenience stores or drug stores. Transitioning more orders to Prime Now would help Amazon reduce its reliance on UPS Inc., DHL and other traditional package handlers. Amazon has contract workers shuttle local deliveries in their own cars, similar to the model used by Uber Technologies Inc. and Instacart Inc.
RELATED: How many warehouse robots does it take to fill a grocery order?